Telus mid-range flanker brand Koodo Mobile is once again offering up to $300 in bill credits for subscribers who refer friends and family. 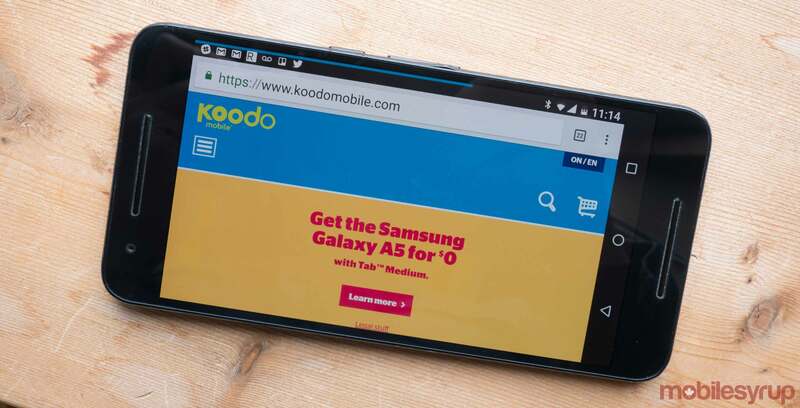 Koodo’s ‘Refer A Friend’ program offers $50-per-referral to both referred and referee subscribers and is accessible through the carrier’s program page online. According to Koodo, individuals will need to redeem the referral offer before they activate service with Koodo. “Your referrals can then buy a phone or SIM card and activate with a Koodo plan,” reads an excerpt from the Refer A Friend program page. It’s worth noting that the program is only available for postpaid accounts, and while there are no limits to how many referral offers subscribers can send out, there is a $300 cap for bill credit per year. Additionally, subscribers can only accept one referral offer as part of the program. “If they receive multiple offers, a credit will be applied to the account of the current Koodo customer whose referral they accepted through the Program,” reads an excerpt from Koodo’s Refer A Friend terms of service. It should take approximately four to eight weeks for the bill credits to appear on both subscriber accounts. Koodo launched its Refer A Friend program in February 2018.